Clients of Ralph’s Radio in Vancouver and Victoria occasionally ask us why we don’t offer cheap remote starter system options. While we do provide fair and reasonable pricing on the products and services we offer, we’ve found that the reliability of inexpensive remote starters typically causes more frustration than is worthwhile to our clients and us. This article will explain some of the issues we’ve seen with low-cost starter systems. Unlike the Compustar systems we offer, many of the cheap remote starter systems we have seen are unreliable and unpredictable when it comes to their range. 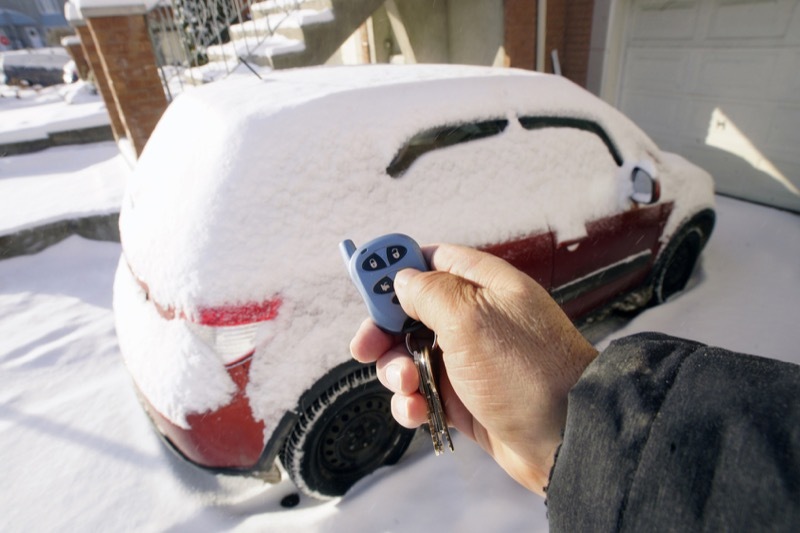 The purpose of a remote starter is to provide you with a reliable way to start your car, truck or SUV over long distances. If you have to leave your house, apartment, office or the mall to start the vehicle, the engine won’t have as much time to warm up. High-quality starter systems include features like spread-spectrum communication to help ensure that commands from the remote reach the vehicle reliably. We have solutions that provide as much as 8 kilometers of range under perfectly ideal conditions. Our starter systems are built using military-grade components to provide extreme reliability at all temperatures. Whether it’s 40 or minus 40 out, the tolerance of the components within the remotes, control modules and interfaces keeps the systems functioning without any issues. Cheap remote starter systems can’t make the same claims. All of the Compustar remotes we offer are water resistant to ensure that they will function even if they’re dropped in a puddle. The remotes feature durable construction that can withstand being dropped. All of our remotes offer at least twice the range of a factory remote system, and many function at more than a kilometer away. We have two-way remotes that confirm when the control module receives a command from your remote to let you know for sure that you have locked your car, or that it has started. You’ll never have to guess again! Compared with inexpensive starters, a variety of options are available with our Compustar systems. We can add DroneMobile to provide smartphone-based control of your vehicle. Imagine being able to use an app on your iPhone or Android-based smartphone to lock, unlock or remote start your vehicle from across the street, the city or, if you want, across the country. You can even check the location of your vehicle using GPS satellite locating. How’s that for peace of mind? We can integrate your starter to automatically activate the rear window defroster, heated seats or heated steering wheel in your vehicle if the temperature outside is below a preset threshold. We also have control options for power sliding doors on vans and motorized tailgates on SUVs. Our team of installation technicians is fanatical about where each component is mounted, how they run wires and how they make each electrical connection. Each remote starter system is integrated into your vehicle, not just wired up and stuffed under the dash. Proper installation is crucial to the reliability of your starter system and your vehicle. If you are in the Vancouver or Victoria area, drop by either Ralph’s Radio location and speak to our team about remote starters. If you can’t drop by, give us a call or send us an e-mail for more information.